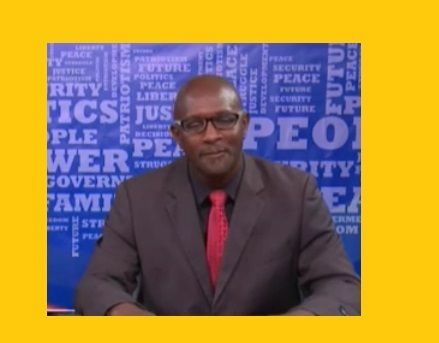 ROAD TOWN, Tortola, VI- Co-Host of the popular radio programme ‘Things To Talk’ on ZBVI 780 AM, Julio S. Henry has called for some drastic measures to be taken where the selling of property in the territory is concerned, among them a 15 to 20 years halt on the sale of land. Henry’s remarks came following concerned callers to the programme who felt that the rich expats who come to the Virgin Islands (UK) are buying acres of prime property just for residential purposes, arguing that if this continues, very soon land will not be available for natives. This particular caller said what drove the matter home for him was when he recently stumbled upon a three-acre lot with a home located in its center, owned by a foreigner. The caller continued, “Maybe we need to put laws in place for a person in that category can only own a house lot, except he want to do something to employ hundreds of people; but if it’s for personal residential use, what he doing with three acres of land in a small two by four country?” referring to the matter as exploitation of the system and it needs to be stopped. Henry had this solution to the problem. Host of the programme Dr Natalio D. “Sowande Uhuru” Wheatley agreed. “I have to say I like that idea by Sam, and also we spoke a lot in the past about a land bank, it would be nice to have a land bank going in the BVI but these are things that we just have spoken about, but it’s time to move on them because it’s very hard for young persons to get land,” he said. 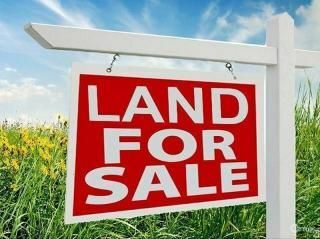 Another caller to the program bemoaned the difficulties he experiences in seeking land for purchase. “Since last year I’m looking for a piece of land and I could tell you the price them outrageous. And when you see who own these real estate companies they are foreigners and they have the price so high that the average BV Islander cannot even buy a quarter acre!” the caller stated. Wheatley also mentioned that the land is worth more than money and persons should not be selling their properties. He said sadly the issue is not unique to the Virgin Islands but the Caribbean on a whole. I agree! The government also needs to look into how much people are migrating here legally and illegally. Just like no land, there will be no jobs as well.....Besides some of them even admit that they don't like our country but they like the money! So What The Hell You Doing Here Then...JUST LEAVE!!! I agree with the one caller where laws should be created that a foreigner can only buy a house lot, if anything bigger it should be for commercial purpose where there'll be employment. My country is dissipated right before our eyes and law maker's are not even conscious of this, or is it that they turn a blind eye? Are we as virgin islanders going to sit back and just allow the folly to continue? Are we going to be like our neighbour st.john where the locals are hemmed in the center? We need to start holding our leaders accountable and stop waiting until it's to late to try and change the wrong, let's nip it in the bud before it festers. Afu, you're100% correct. You hit the nail right on the head. Me being a native-born old timer in VG, did not give in. That move would completely devalue and destabalise the BVI economy. Maybe that's what they want but very worrying coming from someone who is now directly involved in politics. That's because of current banking system, property evaluators and personal greed. At the current cost / appraised values of these properties only the wealthy can afford them. So we are basically selling out ourselves, we cannot have our cal and still eat it. Sam and Wheatley, you are correct. Long time the ancestors was telling me this thing about selling off what they were whipped for and the negative implications on the generations coming. I will say more later. Problem is that many people who own land aren't in the financial position of both these hosts, have they or any of their family sold land? You cannot tell a private owner what they can do with their land, the government could stop issuing alien land holder license bu that would mean for everyone including Oil But Bay, Nail Bay and the other resorts on VG. It's we. BVIslanders. Not the foreigners. We have become the most greediest and selfish people in the world... If we locls have an acre of land Value 150 thousand and a local offer 2 hundred thousand then a foreigner offers 3 hundred thousand. Who will get the land. The foreigners. It's either greed, good business or a sell out...Hard to say which one. People broke what you want them to do? We want jobs, which means we need development and funding which most times isn't found locally. Don't sell our land, which means land stays stagnated, no development, no jobs, blame NDP. I wonder if these guys listen to themselves? So a local buying it makes it any different? Wtf? Legislating what people do with their land? Why not just take it away from them. Bad enough that they spend a heavy fee for appraisals a fraction of the land's worth. Banks not giving loans. Educate folks and let thrm do what they know is best for their circumstsance. And if selling, the highest bidder makes sense. It's a natural inclination to be a protectionist and ignore everything else. It's not possible that these Ex-pats can ship out the land even if they want to, the land remains in the BVI. If this economy begins to fall and people start pulling out, locals would be happy they did sell when they could've.. The difficulty with shutting yourself in is that you leave light and air outside too..everything requires balance. If 60% of this population would ship out I wonder who would pay NHI and Social Security and the Mortgage of many through rent..Think some more.. It is really a no brainer; but will the powers that be make this bold move or not? See we need to have 'Leasehold and Freehold' as our new words when selling lands that are scarce. Foreigners can but the 'leasehold' properties on a defined period of time, while the 'freehold' lands will be sold to belongers/locals with the clause that it cannot be re-sold as that same 'freehold' to non-qualifying buyers. The UK/Europe do this and it has not affected their base negatively. Additionally, there is a land and property 'bubble' here that as other posters have stated is driven by the artificial asking prices/values created to price locals/belongers out of the market! The banks have even colluded with these unscrupulous "Estate Agents" to further disenfranchise locals/belongers from certain areas within the BVI. So there are solutions but are we ready to implement them for the sake of the average person? Only the political elitist class and their benefactors know the truth to this question. Sounds good in theory but it's way too easy to change a lease hold to freehold. Makes perfect sense, Let put a nail in the economies coffin by basically eliminating all real estate transactions for 20 years! Makes perfect sense. No house or land purchases for 20 years. Sam think I will stay unemployed and starve and watch the land. I will sell a piece to survive. Really, why don't you look at other jurisdictions such as Cayman, who is welcoming foreigners to come in and invest , either by buying land, building properties and/or commercial ventures? The BVI if not careful will be left behind and the people will end up suffering because of short sightedness and narrow vision. There is enough land to go around. Why don't BVI people buy more land? Why only waiting to inherit from mommy and daddy? Think outside the box and embrace investors! They might be your only hope soon! People of the Virgin Islands, it is all good to say some selling to advance themselves, but in the long run it will hurt the Virgin Islander. Number one no person who came to the VI as a boat hand should be selling our lands. Second, put a spoke in the plans of these ex pats real estate agents. The time has come for us to put our thoughts together to find solutions that would aid our children in the future. Let us stop this madness of greed. History is important. Think about how our forefathers got the land and what they endured to give us an inheritance. I dont want to be in the grave having to fight this unnecessary battle for my family who are alive. Let us examine this problem if not addressed we would be saying. Had ah know. Them skin teeth cant help themselves. They have one aim..to disenfranchise us and rule over us. Let us stop them, please. You are right. My father hammer in our head not to sell and he ain't hand over any yet. I had to go buy mine and let me tell you I aint selling that nor any I inherit. I believe if I had just get it easy, I would be more willing to sell. Right now, I understand the price a cheese and not a materialistic thing gwine make me hand to mouth and desperate where my land is concerned. Why worry.....our earth will live us out....only time will tell. Let's live and be happy for now. Yeh Mon! Ill have me some FRY FISH and JOHNNY CAKE dem ya no... Live life on earth now, cause when our time comes, the earfh and it's land is just gonna be here for the next generation of people. Absolutely NO ONE HERE, is gonna take any land with them in the end.